My father brought 35 years ago from California, he purchased it new and has remained in the shed for 35 years. There is a possiblity it still might work. Does that have a lifetime warranty??? It may be worth a call to sears to find out anyway!! On another note, your spell check works about as good as mine. 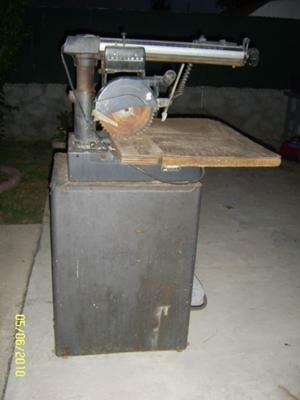 I think it is a Radial Saw, isn't it? ?